This is the story of the Great North Korean Famine. It was not merely a shortage of food but a colossal failure by the North Korean government and the world to act and save lives. This is a story about death and depths of desperation without respite. Without the Great North Korean Famine, there would be no North Korean refugee crisis. When the early stages of starvation and poverty began in North Korea in the 90s, no information about the outside world was coming into the country. Information was on complete lockdown. Even as death and hunger engulfed the country, North Koreans were told that they lived in paradise and that other places in the world were much worse. The government controlled all media. Everyday civilians could not turn on the TV or open the newspaper to learn the truth of their desperate conditions or the staggering scope of the disaster taking place on their own soil. North Koreans had no way to call or write letters to anyone beyond their borders. Their phone system was and is still closed to the outside world. And as the country’s economy crashed and people began to die from hunger, they were not allowed to complain to their officials. Leadership was deaf to their needs. As the country wasted away, Supreme Leader Kim Jong Il held pizza parties, was Hennessy’s number one customer and invited pro wrestlers to entertain him and his loyal few. No one heard their cries. As rumors spread of a massive North Korean famine, United Nations food inspectors who arrived to assess the nation’s economic health were taken to places least affected by hunger and poverty. By 1998, most nongovernmental organizations reported that North Korea was well on its way to recovering from the famine. This was far from the truth as hundreds of thousands, perhaps even millions, of North Koreans were still starving. In this section we will go through North Korea’s inevitable march into famine, its causes and the terrible aftermath. The death of Kim Il Sung on July 8, 1994 was a disaster on par with the Kennedy assassination, the Challenger explosion, or September 11 for North Korean citizens. Most North Koreans who were alive at the time remember where they were and what they were doing when they heard about Kim’s death. It is a touchstone in their lives, the death of their nation’s father. To North Koreans, Kim Il Sung was and still is a war hero, the founder of their nation and a god. His presence in the lives of North Koreans to this day is ubiquitous as he is still revered as the “Eternal President of the Republic”. All citizens must keep and maintain a portrait of Kim in their homes. They are instructed to save this picture should their home catch on fire. Kim still appears in literature and state media. His birthday is a central holiday in North Korea. When the country announced Kim’s death, it was as if the universe was turned inside out. The nation went into bitter and heartfelt mourning. Their future was thrown into a tumult. Little did the citizens of the nation know that, within a couple years, most of them would be starving, afraid, and utterly impoverished. Many North Koreans alive at the time of their President’s untimely death cite this event as the beginning of their country’s troubles. But trouble was brewing long before Kim’s death. In September of 1995 North Korea’s diplomatic representatives made a stunning appeal to the World Food Program (WFP) for help. This appeal was, of course, unknown to the isolated and uninformed people of North Korea. The plea for assistance was startling to international neighbors. Much like today, the DPRK of the 90’s boasted of its military and economic prowess. Also much like today, analysts were skeptical of the claims the country would make on a regular basis, but had no idea of how troubling things were in the nation’s governance. A call for help was a shock to the ears of world leaders. It was unheard of and, most importantly, it was a sign that North Korea was in dire straits. It became quickly apparent that a disaster was brewing. The nation had been struggling for almost a decade to meet the basic needs of its people. It was only after the realization that half of the country’s citizens were going hungry through every single meal of every single day to even bring the nation’s leaders to the international table of appeals. How did a country with over 22 million people, a system of government, and several neighboring countries in economic development plunge so quickly and deeply into despair? How did approximately between 240,000 and 3,500,000 North Koreans perish in the span of four years without intervention of their own government or outside help? The Soviet Union collapsed in 1991 and with it dissolved one of North Korea’s few trade relationships. North Korea traded with the Soviet Union at favorable rates. Some would go so far as to say that the Soviet Union was subsidizing the North Korean government with healthy discounts on food, petroleum and other essentials to sustain its political ties to the USSR. In 1985 Mikhail Gorbachev began to reduce aid to North Korea in favor of developing a relationship with South Korea, a nation growing and developing at a far different pace. By 1988, the Soviet Union represented about 60 percent of North Korea’s economy. All of this changed when the USSR dissolved in 1991. When the Soviet Union collapsed, North Korea was not far down the domino chain. Soviet petroleum subsidies dropped from 506,000 MT in 1989 to 30,000 MT in 1992, according to the economist Hy-Sang Lee. 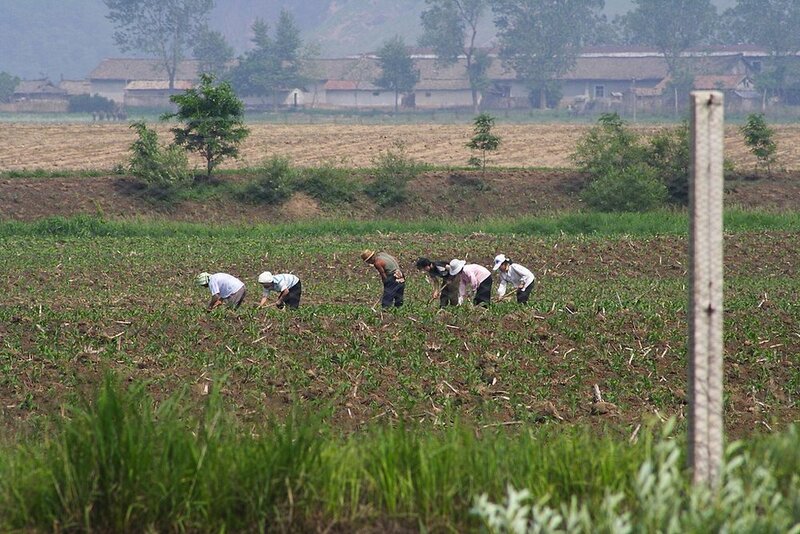 North Korea experienced rapid growth in their farm production due to the use of modern chemical fertilizers. The government believed so deeply in the effectiveness of these chemicals that they used more and more as years went on to diminishing returns. 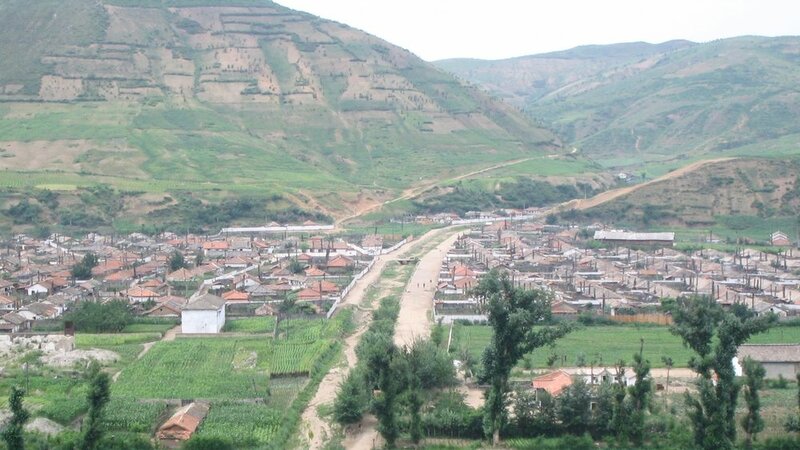 “International agronomists with a wide knowledge of the farming system say they have never seen such excessive use of chemical fertilizer anywhere else in the world,” writes Natsios in “The Great North Korean Famine.” The North Korean government fertilized their own agricultural production into a literal wasteland of chemicals. Some agronomists said that during boom years, North Koreans were planting their crops in more chemicals than soil. A series of ecological disasters ruined the already struggling and mismanaged North Korean government’s ability to adequately sustain its people. The production of food dropped to critical levels. Struck by a cold front at the beginning of the 1990s, pest control issues and crop damage swept through much of the northern part of the peninsula. 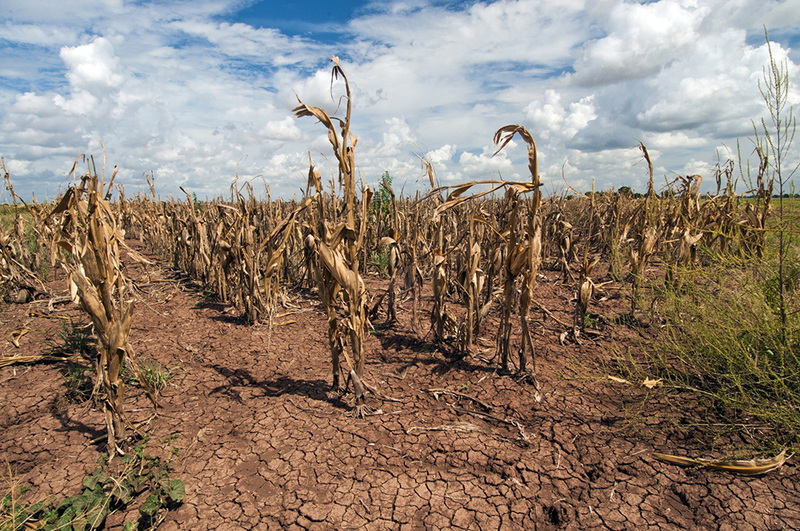 A series of floods in 1995 devastated over 400,000 hectares of what had been farmable, fertile land. Grain production dropped approximately 30% as a result of the flooding in ‘95. But a second wave of floods in the next year struck the “breadbasket” regions of North Korea’s arable land - regions that produced over 60% of the nation’s food supply. Such disasters resulted in a loss of 300,000 metric tons of grain. It should be noted that from the year 2000 to 2001, North Korea continued to experience the destructive force of natural disasters - this time in the form of droughts that ruined the soil and irrigation systems in the country. Both international political factors and internal elements of mismanaged agriculture took a heavy toll upon the growing chaos in North Korea. On the one hand, external support and subsidies in the form of imports that supplied their insecticides, fuel, and electrical irrigation systems ceased to exist as natural disasters took a toll on the nation’s ability to maintain their agricultural sector. On the other hand, internal projects run by the North Korean government that chemically overfertilized and ruined soil integrity led to so much erosion and deforestation campaigns for more farmland that flooding caused hillsides used for farming to collapse when the flooding came. Most notable, however, should be that some scholars go so far as to say that the flooding in North Korea was horrific but absolutely fortuitous. The North Korean government’s unwillingness to yield to its own unmanageable and utter inability to respond to the disaster affecting its people was only broken by an ecological excuse to ask for aid on the international stage in 1995 - the same year that the flooding began. As the nation continually refused to verify the conditions of the difficulty weighing on its people and system of government, a natural disaster gave leeway to finally ask for an extension of aid from outside nations. The North Korean government, however, continued to refuse outside aid to attain accountable, sustainable means to provide support - even as hundreds of thousands of its people starved to death. The great irony of the famine was that tons of food aid was sitting in warehouses in Pyongyang while the country starved over the course of four years. Little did the hundreds of thousands of North Koreans wasting away from hunger know that their leaders held the food that could have saved them from death’s doorstep. North Korea’s distribution system did not incentivize its food distributors to make deliveries. The people responsible for delivering the food were being paid regardless of whether their deliveries were met. There was also the danger of delivering the food. By the time the famine was in full force, it was a threat to the life of the deliverer if a truckload of food came into a starving village. Riots would start and there was a very real chance for these people to lose their lives just for delivering food rations. The maddened rashness and hopeless anguish of the North Korean people seeking any source of sustenance is not beyond understanding. Living through one of the worst disasters of the 20th Century was a formative event that affected its people deeply. Living in famine conditions forced many in North Korea to desperation. Many in Crossing Borders’ network have recounted the hellscape that unfolded as a whole nation went without proper nutrition. Many of our refugees were lone survivors in their families. North Korean refugees are living witnesses to the sheer terror and panic that ensued. As rations trickled in and eventually dried up, North Korean officials and citizens grew frantic in their search for food. The government started a campaign called “Let’s Eat Two Meals a Day.” They began informative public service announcements regarding which grasses were good to eat and which edible tree bark was most appropriate for their diet. The refugees in our network painted a much grimmer picture of the famine North Korean as they described the measures they took to survive. In addition to eating bark and grass, refugees have reported eating rats, pets and a few have even reported witnessing cannibalism. Some who were put in their system of prison camps reported the gruesome effects of forced starvation. Several refugees reported that they were rationed exactly 24 kernels of corn a day while they were forced to perform harsh physical labor. North Korean refugees often recount the sheet abundance of death in the areas they lived. They themselves felt that death was imminent and ever-present. One woman reported to Crossing Borders staff that she felt so sure of her coming demise that she gave up and laid by the river near her home in preparation. She stared at the sky and waited to die. To her shock, it seemed as if an eternity of time had passed, but she did not die. Another woman in our network said that her husband and two of her three children died in the famine. Her last child lay wasting away in her arms requested one thing before he died: a bowl of white rice. He slipped into unconsciousness and when he came to, he smiled, touched the button on her shirt and breathed his last. Both of these women got up and left North Korea for China after these incidents. No one outside of North Korea is sure how many died. North Korea has never released reliable statistics and they have not allowed outside inspectors survey the full scope of the damage done. Experts estimate that anywhere between 240,000 to 3,500,000 people perished during this time. There is no way to know for sure. What we do have is a vast collection of refugee testimonies describing what they saw. They reported bodies lined up on streets and train stations. They reported mass graves. They recount the roaming, abandoned children who lost their families to starvation travelling in packs to steal food and rummage through trash in order to survive. UNICEF reported in 2013 that 27.9 percent of all North Korean children under the age of 5 experienced stunted growth due to malnutrition. If you’ve met a North Korean who grew up poor during the famine, you likely noticed their height. According to the results of a study conducted by the South Korean Ministry of Health and Welfare, the average height of North Korean males was 165.6 centimeters, and that of North Korean females 154.9 centimeters. By comparison, an average South Korean man was 6.9 centimeters taller and a woman 4.2 centimeters taller. “Stunting of that degree at that age is irrecoverable and confers a lifetime of physical and mental challenges,” said Marcus Noland, Executive Vice President and Director of Studies at the Peterson Institute for International Economics. Though the Great North Korean Famine occurred over 20 years ago, its consequences can still be felt to this day. 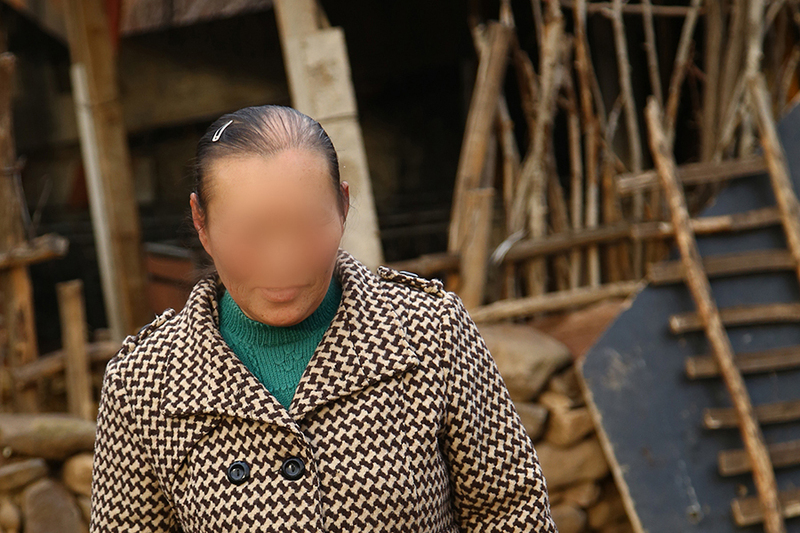 Refugees who fled it are still trapped in China, many of them have been abused and trafficked. The United States Government Accountability Office published a report in 1999 regarding the incredible restrictions that are placed on outside support for North Korea. Ironically, the restrictions that limited the amount of aid entering North Korea were not limits enacted by international agencies who sought to intervene in the North Korean Famine, but restrictions placed by the North Korean government regarding outside help reaching its own people. Aid accountability was sparse and difficult to sustain in a country so secretive and opaque. As resources such as money, medicine, or food were offered to help North Koreans in need, there was little to no evidence that the aid reached the impoverished. Because of such a lack of accountability, monitoring and supervision, the United States government and the World Food Programme found it a difficult task provide support throughout and following the years of the famine. The problem of accountability in giving support to North Korea’s people, many of whom are still impoverished and in need, is far from over. The Center for Strategic & International Studies notes in 2018 that even programs as large as $44 million for basic medicine have closed due to the North Korean government’s refusal to accept supervision over the support provided. The UN Food Program reported that almost half of the country remained undernourished in 2017. The simple fact of North Korea’s government, however, is that it desires the benefits of international support without guaranteeing that it is reaching the desperate and needy. According to the Institute for Far Eastern Studies, North Korea received $113 million from the United Nation’s Office for the Coordination of Humanitarian Affairs in 2012. In the same year, newly instated Supreme Leader Kim Jong Un spent a total of $716 million on personal luxury goods ranging from exotic foreign cars to a personal theater. Support for the North Korean people has further been exacerbated by sanctions that came as a result of North Korea’s nuclear program. The sanctions have mainly focused on North Korea’s ability to trade with the rest of the world. North Korea cannot export its vast mineral wealth and does not have access to foreign currency in order to trade with other nations. For this reason, North Korea is still utterly dependant upon foreign aid and has no method of uprighting its severely broken system of governance or economy. The only thing that has changed over time is the country they receive that aid from. China was responsible for 90 percent of North Korea’s trade volume in 2017, according to the Council on Foreign Relations. All the while, China has grown increasingly frustrated with their neighbor’s international provocations. Despite the end of the famine, North Korea has not recovered.